You don’t have to be in the Talent Acquisition space to know the canvas of recruitment is evolving faster than most other professions. The tools and resources available to network, identify talent, grow networks and manage referrals are tremendously effective and readily available. If you have had your business savvy hat on while enjoying a latte watching the stock market ticker, you will see that LinkedIn has been leading the way among the social media stocks. Their future looks bright and the numbers and enhancements to the platform support that. As talent acquisition professionals, are we getting on the train to transition or waiting at the station for the slower traditional horse drawn train to come later on? Targeted research and marketing campaigns are not just identifying the talent, but providing a complete profile of the individual to match them against the culture of the organization. Recruiters are no longer “processing” candidates; they are understanding the role, team, the culture and the challenges and matching them against the best talent to meet the needs of the role. So, why would I say that recruiters are missing the train of change? There are a number of wonderful tools for strategic sourcing, networking, developing and harnessing talent networks, managing candidate flow and marketing/outreach. We are anointed with more tools than ever before and yet we are wasting all this great opportunity. We are not developing and leveraging our personal brand. How many LinkedIn profiles are either bland and boring or look like they were developed by a greasy haired used car salesman? Too many recruiters are on the “big” social networks (Facebook, Twitter, LinkedIn) yet ignoring the little gems. Do you have an About.me profile? (about.me/recruiterpoet). If not, you need to. We are still afraid of the risk. If a platform is new or not yet established as an accepted tool, we will not take the chance and determine its value. We wait for Mashable or several large companies to test the waters first. I jumped on the scalability of Bullhorn Reach from day one because it had a great development team, management team and partnerships with the large social platforms. That turned out to be a invaluable resource for myself, my team and the industry. Recruiters do not effectively measure or understand the process behind analytics. Metrics are the key to any successful campaign. Understanding the numbers, tracking trends and developing effective strategy implementation based on projected outcome is essential in our space. Are we leveraging the networks to the fullest extent? I am not sure we are. How many skill specific circles do you have on your Google+ account? How many regional or skill groups do you belong to on Facebook? Are you a member of 50 groups in LinkedIn and do you rotate membership to diversify your reach? Are you using sites like Reddit, Stumbleupon or Slideshare to brand your roles and company image? We are not communicating in the social space. We feed jobs out like a Pez dispenser, but how many are talking to the candidates. I see talent acquisition folks are talking to each other on Twitter and sending sound bites from conferences, but shouldn’t we be talking and engaging with the candidates? I am not proposing that traditional cold calling, networking and relationship building will vanish in the near future. I certainly hope it never does. I am witnessing a resistance or lack of understanding of the capability and value the social space brings to recruitment. 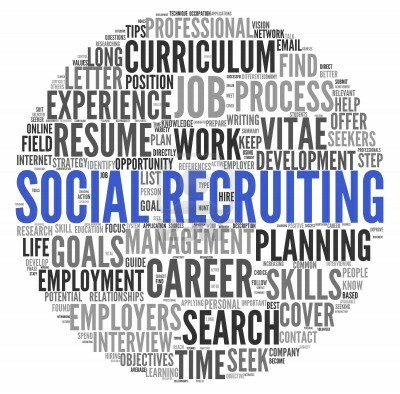 If social space wasn’t so critical to our roles, the phrase “Social Recruiting” would not have been coined. We are only tapping the iceberg of potential. I didn’t even reference the future of mobile technology in recruiting yet and for purposes of focus on this piece I will not, but if we don’t all board the train soon, we are going to be missing out on a great ride. "Engaging with Candidates" - now how important is that...and yet we hardly do it ! I guess I am old fashioned. I cold call pretty much all day to find the right candidate. I like talking to people so I can get a sense of who they are. I know that the social networks are the way to go but I want to hear what people have say when you ask them about what they would like in their next opportunity. Nicely written article Mark. I feel it sums up the way I see the recruitment landscape (and some of the things I have been doing to keep up with changes). I strongly believe that in the future talent acquisition specialists will have to find a balance between traditional methods and modern approaches. A similar perspective can be found in this great webinar http://bit.ly/18UOIxK by Shane McCusker with Greg Savage, about the future of recruitment. Social networks and "social recruiting" are an important part of finding people and branding your company, but I firmly believe that getting a person on the phone is the most important part of recruiting. Once you are talking to a real person, you can start building a "real" relationship with them. Building a real relationship with a candidate is crucial in finding talent for hard to fill roles and building your pipelines for future roles.